(February 4, 2019)… The Rochester Knighthawks bolstered the right side of their offense today by reacquiring star forward Stephen Keogh from the Colorado Mammoth. In return, Rochester sends a second-round pick in 2019 and a third-round selection in 2021 to the Mammoth. With Colorado this season, the 31-year-old posted three goals and three assists in four games. Keogh spent parts of three seasons in Denver after being traded to the Mammoth from the Knighthawks in February of 2017. With Colorado, he played in 29 games and collected 47 goals and 45 assists for 92 points. After today’s deal, Keogh returns to Rochester where he played parts of six seasons (2012-17). In 77 games in the Flower City, Keogh notched 120 goals and 123 assists. After being selected with the second overall pick in the 2011 National Lacrosse League Entry Draft, Keogh helped Rochester win three straight Champion’s Cups (2012-14). In 2014, he was named the Knighthawks’ Offensive MVP after notching career highs in goals (33), assists (38) and points (71). In 2012, he earned a spot on the NLL All-Rookie Team and was named a co-winner of the team’s Community Service Award. The Toronto, Ontario, native has a knack for winning championships. Besides the three NLL Cups he won in Rochester, Keogh captured two NCAA Division I national championships at Syracuse University (2008-09). With the Major Series Lacrosse Six Nations Chiefs, he has won three Mann Cups (2013-14 and 2016). In the Junior “A” loop, he led the Orangeville Northmen to a Minto Cup Championship in 2008. 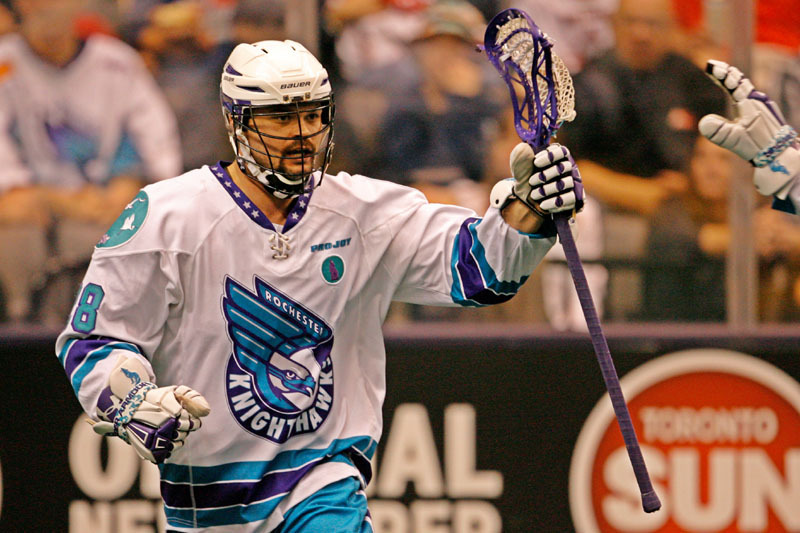 Recently, Keogh was named to the Knighthawks’ All-Time Team. He will now join Rochester during its historic 25th Anniversary season. The Knighthawks travel to play the New England Black Wolves on Saturday, Feb. 9 at 7:00 p.m.